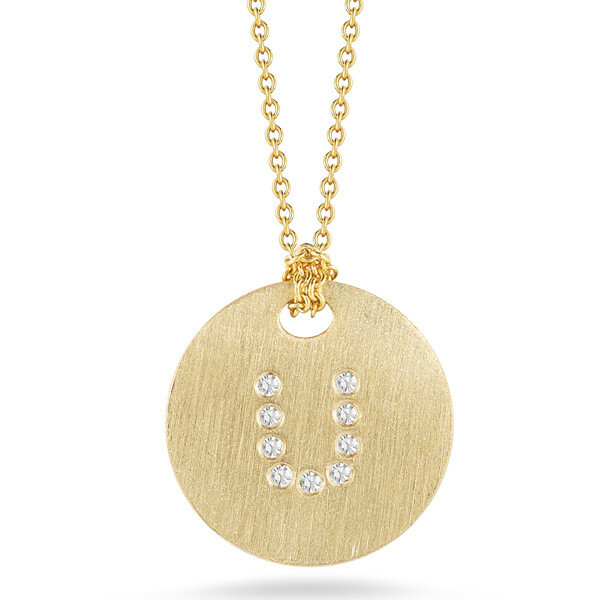 This initial U medallion necklace is from Roberto Coin's Tiny Treasures collection. 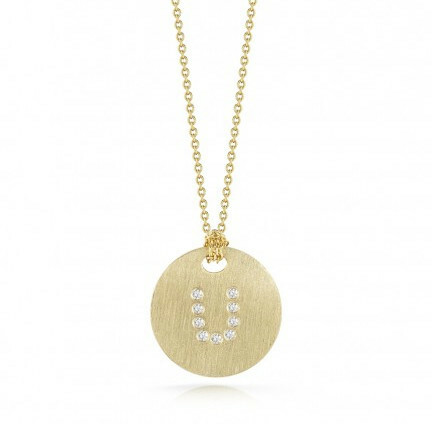 The 18kt yellow gold is finished with a brushed texture while ultra cool white diamonds rest on the surface in the letter U. 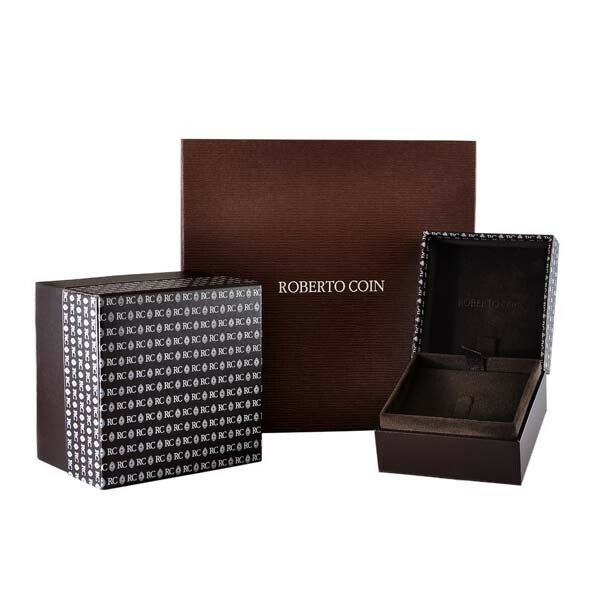 It would be unwise to think that this Roberto Coin pendent would not show off your individual personality beautifully!